Flat washer, is mainly used for iron stamping out, the shape of a flat washer, a hole in the center. This hole size specifications are generally based on customer requirements to be determined by the. Plain washers are usually thin pieces of various shapes to reduce friction, prevent leakage, isolation, and prevent loosening or dispersion. There are many materials and structures that are used to perform all kinds of similar functions. The material and technology of the threaded fastener are limited, and the supporting surface of the bolt and the like is not big, so the surface of the connecting piece is protected by the pressure stress of the bearing surface. In order to prevent the loosening of the connecting pair, the spring washer and the multi tooth shape locking washer, the round nut stop washer and the saddle shape, the waveform and the conical elastic washer are adopted. 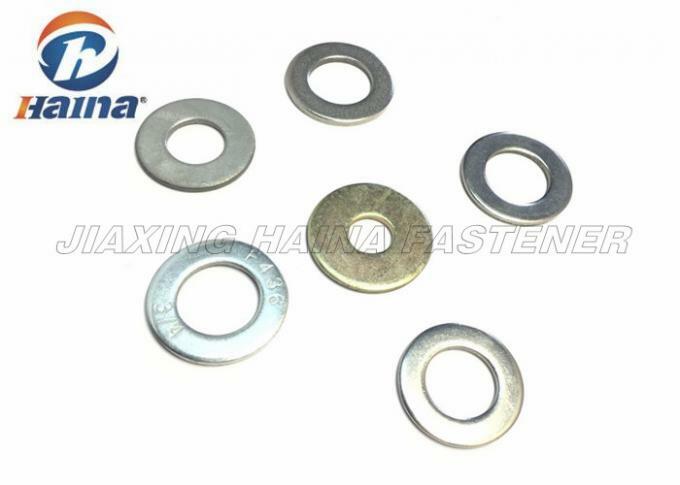 DIN125 DIN127 Stainless steel A2-70 A4-80 Flat Washers in stock.Flat washer is mainly used to decrease the pressure, when some parts of the screw down the axial force is very big, easy to make the pressing dish washer, then can use material and improve the hardness to solve. Washers are usually metal and plastic and rubber. High-quality bolted joint require hardened steel washers to prevent the loss of pre-load due to Brinelling after the torque is applied. 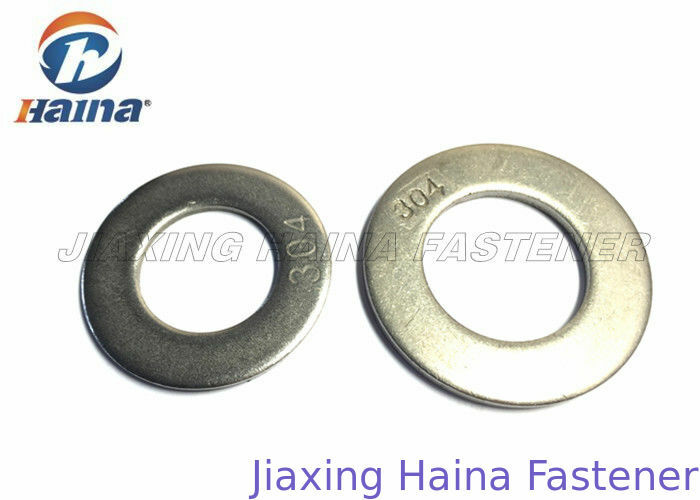 We provide Carbon steel flat washer, plain washer, high strength washer, stainless steel flat washer, stainless steel plain washer, flat washer DIN 125 &126 & 127, round washer & Square washer, support customer's special requirements. We have rich ecperience on producing, and professional fastener sales team with high education to give customers best solution and advices all questions and shipping questions.Maybe you can send your inquiry to our email : me@hainafastener.com , we will give you the price as soon as possible.Thank you. Available Standard DIN125,DIN127 DIN9021 F436 etc. Finish Zinc Plated, plain finish or as appointed such as Black oxide, . Packing The on pallet Or do the packing according to customer's requirement.